Rabat - A month and a week from now, Moroccan kickboxing rising star, Ismael Lazaar, will be stepping into the ring to face the biggest challenge in his career. 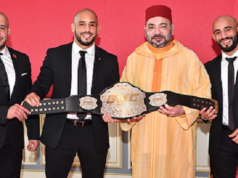 Rabat – A month and a week from now, Moroccan kickboxing rising star, Ismael Lazaar, will be stepping into the ring to face the biggest challenge in his career. 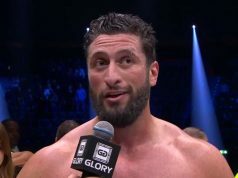 The former “GFC” and “Enfusion” world heavyweight champion will be making his “Glory” debut against Rico Verhoeven, the biggest Dutch name in kickboxing today. The fight is due to take place in May 20th, in Den Boesch in the Netherlands. Certainly a very difficult fight for Ismael Lazaar, but the Moroccan has nonetheless chances of winning. A vicious striker, Lazaar is one of the best knock-out artists among heavyweight fighters. 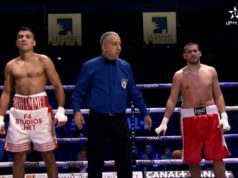 In one of his last fights, the young Moroccan demonstrated once again that he is one of the hardest hitters in the business, finishing his opponent with knock-out in the first round. Rico surely has to watch this.